April 20, 2012 by Ken Ward Jr. Earlier this week, the U.S. House of Representatives added to a major transportation funding bill an amendment from West Virginia’s very own, Rep. David McKinley, to block the federal Environmental Protection Agency from regulating toxic coal ash from the nation’s power plants. As Pam Kasey reported in The State Journal, the amendment was successfully added to the transportation bill on Wednesday. That bill passed the House, and now goes to a conference with the Senate. Now, we’ve written about the Republican gentleman from West Virginia’s 1st congressional district before and his crusade to protect coal ash and the companies that generate it from reasonable federal regulations (see here, here and here). And remember the coverage of Rep. McKinley’s coal industry campaign support, of the fact that his own constituents have practically begged him not to push this legislation, and that Rep. McKinley hasn’t exactly jumped at the chance to hear those citizen concerns. It took freshman GOP Rep. David McKinley of West Virginia just three weeks after being sworn in to introduce a bill that would help a contributor, Arch Coal, by overturning an Environmental Protection Agency ruling that has broader implications for the mining industry, also one of his political patrons. A month later, McKinley was back, with another bill that would block a proposed EPA regulation against coal-ash bricks and drywall, materials architectural and engineering firms — such as one founded by McKinley — routinely recommend in construction project bids. Most new House members used their first months in office promoting by-the-book conservative bills — slashing spending and cutting taxes, all designed to show they came to Washington to fix Washington. But a few like McKinley took a different route: They did things the Washington way, using a legislative process they once railed against to try to assist donors, protect favored industries or settle scores with their political enemies. Katie Martin, a McKinley spokeswoman, said neither piece of legislation should surprise anyone. “West Virginia is coal, and coal is West Virginia. It’s the economic engine of the state. Cap-and-trade, a direct attack on that way of life, was one of Rep. McKinley’s chief motivations for running. Now that he’s elected, he’s doing what he said he would — fighting tooth and nail to stop the EPA’s war on coal and protect the industry along with the tens of thousands of West Virginians it employs,” she said. 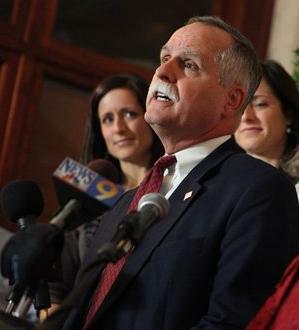 Rep. McKinley himself has shown us he doesn’t always understand his own coal industry legislation, almost as if someone from the industry just gave it to him already written and he introduced it … so it’s not surprising that when confronted with questions about potential conflicts of interest, the congressman’s staff pivots quickly to the standard “war on coal” line that is constant crutch now for our state’s political leadership. Little wonder, too, that Reps. Nick Rahall and Shelley Moore Capito are co-sponsors of McKinley’s coal-ash bill, though at least that created the uncomfortable situation for Rep. Rahall in which he had to twist and contort to make clear his support for the coal-ash amendment, while at the same time leading the Democratic charge against the broader GOP version of the transportation bill it was being attached to. Over in the Senate, West Virginia’s Jay Rockefeller and Joe Manchin are co-sponsors of their own version of the coal-ash bill. Even as McKinley pushes the coal ash amendment, residents in his own district who live near a massive coal ash impoundment say state-based regulation has failed them. 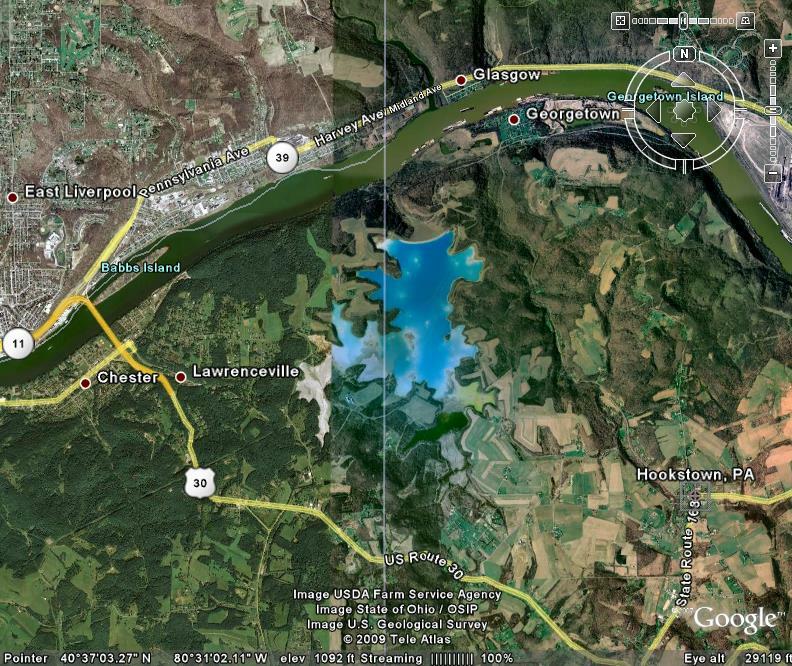 Curt Havens is a retired postal worker who lives in West Virginia’s northern panhandle just a few thousand yards from the Little Blue Run impoundment, a more than 1,000-acre holding ground for coal ash waste from a FirstEnergy power plant that reflects an eerie blue-green color in satellite photos. Havens suspects the impoundment contributed to his own case of thyroid cancer years ago, and said only a few days ago his yard smelled like rotten eggs and sewage. Because Little Blue Run straddles the West Virginia and Pennsylvania borders, both states’ environmental protection departments have authority over the impoundment — but neither, he said, have responded adequately to his concerns. “We shouldn’t even have to be going through this stuff,” he added. Black dust from the giant coal ash heap across the street from Kathy Little’s Louisville home swirls in the wind, coating her windows, her car, and blows indoors to settle on the furniture. The ash blanketing Little’s property is a byproduct of a nearby coal-burning power plant. Since it’s full of fine particles of arsenic, chromium and other metals, the U.S. Environmental Protection Agency is considering classifying the ash as a hazardous material. “It’s a constant struggle and it’s a sad situation because there’s not a lot of people that know that goliath is over there,” Little said of the ash dump near her home — at Louisville Gas & Electric’s Cane Run Station. Power plants in the U.S. produce about 140 million tons of the ash each year. But for Little and many others around the country, it took a massive coal ash spill in December 2008 in eastern Tennessee to awaken to the environmental impact of the gritty particles invading her home. The spill that year from a Tennessee Valley Authority storage pond poured more than 5 million cubic yards of ash into a river and spoiled hundreds of acres in a community 35 miles west of Knoxville. The spill is considered one of the nation’s worst environmental disasters and drew national attention to coal ash and its ominous-sounding ingredients. The EPA later declared that ash contaminants can leach into the ground and reach drinking water sources — creating health concerns. The agency says there are about 1,000 active coal ash storage sites in the U.S. But two years after the agency proposed regulating coal ash as hazardous and placing restrictions on its disposal, the EPA has issued no ruling. For Little — and the environmental activists who are just as alarmed — the EPA’s ruling is taking too long. They say they’re worried that the politically charged environment surrounding the EPA in a presidential election year could delay the ruling further. In a statement to The Associated Press, the EPA declined to provide a timetable for a ruling on the regulation. The agency said it won’t act until it reviews information about ash and some 450,000 public comments gathered in 2010 at hearings around the country. President Obama has already threatened to veto this legislation because it circumvents the longstanding process for reviewing the potentially dangerous Keystone XL pipeline. The McKinley amendment would add another extraneous provision to the underlying bill. This amendment would prevent EPA from regulating toxic coal ash and would put our Nation’s drinking water and public health at greater risk. 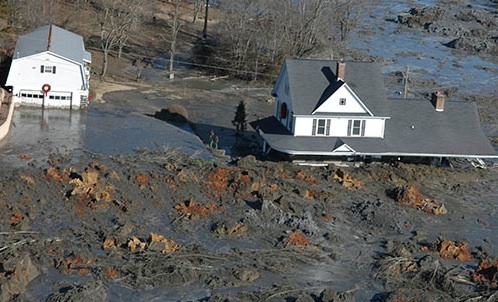 On December 22, 2008, a coal ash impoundment in Kingston, Tennessee, burst, releasing 5.4 million cubic yards of toxic sludge, blanketing the Emory River and surrounding land and creating a Superfund site that could cost up to $1.2 billion to clean up. At hearings in the Energy and Commerce Committee, we heard testimony about the devastating impacts contamination from coal combustion wastes can cause. We learned of contaminated drinking water supplies and ruined property values. We learned that improper disposal of coal ash can both present catastrophic risks from ruptures of containment structures and cause cancer and other illnesses from long-term exposure to leaking chemicals. Two years ago, EPA proposed regulations to ensure stronger oversight of coal ash impoundments in order to prevent disasters like the one at Kingston and to protect groundwater and drinking water from the threat of contamination. The agency had proposed two alternatives for regulating coal combustion residuals. One proposal was to regulate these wastes under subtitle C of the Resources Conservation Recovery Act, or RCRA, as a hazardous waste. The other proposal was to regulate under subtitle D of RCRA as a nonhazardous solid waste. Under both proposals, there would be a minimum Federal standard developed to protect human health and the environment. Those standards would address wet impoundments, like in Kingston, and would also ensure that basic controls like the use of liners, groundwater monitoring, and dust control meet a minimum level of effectiveness. But this amendment blocks both of EPA’s proposals. It replaces those proposals with an ineffective program that will not ensure the safe disposal of coal ash, won’t protect public health, and won’t protect the environment. We could and we should do better. Under each of our environmental laws, Congress has always established a legal standard when delegating programs to the States. These standards are the yardsticks by which it is determined whether a State’s efforts measure up. They ensure a minimum level of effort and protection throughout the Nation. This approach has worked well because it prevents a race to the bottom by the States. This legislation does not include any legal standard to establish a minimum level of safety, and to the extent new safety requirements are established, nearly all of them can be waived at a State’s discretion. This legislation appears to create a program, but the decision about whether or not to go forward is one that will be at the States’ discretion. The result will inevitably be uneven and inconsistent rules between the States. Some will do a good job and others won’t. If this legislation is adopted, no one should be fooled. This bill won’t protect communities living near these waste disposal sites. Thanks to David McKinley for standing up to regulations that are only to blocks the use of coal. Responsible regulation is in place in WV and it has been working for years. WVDEP has been regulating its use and disposal for years. David McKinley actions stem the power grab by the federal gov. to regulate on national scale an issue they have studied and found to be a non-issue. Now, however in this administration like so many things in its war on coal is trying to force something on the states that they don’t want.